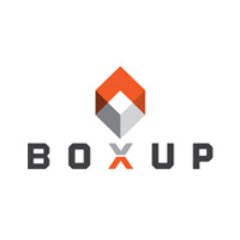 BoxUp is an order fulfillment service that provides unique packaging solutions for individuals and businesses. They offer special sizes and six styles of custom printed boxes: end-open mailers, top-open gift mailers, shipper boxes, display mailers, carry-handle boxes, and square mailers. In this article, we cover user reviews and pricing. Ready to get started with BoxUp? Visit their website. Users who gave BoxUp a positive review said that its self-design tool is user-friendly and has plenty of options for customization. Some also commended the customer support staff for being highly responsive and helpful. One user who gave BoxUp a positive review on Facebook likes that their support team is friendly and that the company has a low minimum requirement for orders. She also appreciates that the finished products look great and are durable enough to handle the shipping of her fragile items. As of the date this article was written (01/14/19), there are no negative BoxUp reviews online. If you are a past or current customer, leave a review to help others who are deciding whether or not to use the service. BoxUp has a per-order pricing scheme depending on the type of boxes selected, the volume, and whether their designs are customized or template-based. Pricing starts at $25/box and discounts are given for bulk orders. The minimum purchase volume is 12 boxes. Sample boxes cost $1 each, with a limit of three per order. Ready to get started with BoxUp? Visit their website. Order Fulfillment Services: Who’s The Best Fulfillment Company? — In this guide, we compared the services of four fulfillment companies: ShipStation, FulfillmentCompanies.net, Red Stag, and Fulfillment by Amazon. Read on to find out how to assess your business’ needs to find the right fit. What are BoxUp’s boxes made of? BoxUp’s branded boxes are made from 200#* test corrugated cardboard. They are a bit stronger than the standard boxes typically received in the mail and will not require an outside box or crate to ensure that the packages are intact. *a label to indicate the strength of a box. The higher the number, the stronger it is. Is the price affected by the type of design and the number of colors used on the boxes? No. Pricing per box is fixed and will only change if the order volume is increased. Not sure if BoxUp is the right fit for you? Read our reviews of all top order fulfillment services.